Earlier this week My Chemical Romance announced their break up on their web site. The break up appears to have been amiable and the reasons for it are unclear. If there is any specific reason, from a long post Gerard Way made to Twitlonger, it appears that it is just that it is time for My Chemical Romance to come to an end. Regardless, the fact that My Chemical Romance are breaking up does make me sad. Quite simply, they were my favourite band from the Naughts. Over the years various labels would be applied to My Chemical Romance. In their early years they were often labelled "emo," a label I never really thought fit them. They were often called "pop punk," "post punk," or even simply "punk," although many of their songs could be considered "power pop." Given power pop is my all time favourite genre of music and pop punk is also one of my favourites, it should come as no surprise that I would love My Chemical Romance. Their music was laden with hooks, catchy melodies, and tended to be guitar heavy. From listening to their songs I'd say that their influences ranged from The Beatles to The Ramones to Green Day, with even a bit of heavy metal thrown in for good measure in the form of Iron Maiden. Regardless, it is clear that My Chemical sprang from the same well as most of my favourite bands. While My Chemical Romance's musical styles have always appealed to me, I must say that their lyrics always appealed to me as well. Indeed, when My Chemical Romance first entered my life, I was in a very dark place in some ways. My mother had just died of a heart attack and I had gone through a particularly tumultuous relationship. My Chemical Romance's first two albums, I Brought You My Bullets, You Brought Me Your Love and Three Cheers for Revenge contained some fairly bleak material. Indeed, "Helena," from Three Cheers for Revenge, dealt with Gerard Way's feelings in the wake of the death of his grandmother Elena Lee Rush (my own mother had only died a few years before). "I'm Not Okay (I Promise)" summed up the angst I felt in the wake of a break up. By the time The Black Parade came out my life was considerably happier, but it would become my favourite My Chemical Romance album and one of my favourite albums of all time. Stylistically the album owes a great deal to The Beatles (indeed, for the album My Chemical Romance wore a black variation of The Beatle's "Sgt. Pepper's Lonely Hearts Club Band" uniforms), as well as Queen and David Bowie. 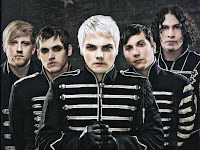 The Black Parade was also a rock opera, centring on a man dying of cancer (known only as "The Patient") and his thoughts on his life, dying, and the afterlife. Both with regards to its various musical styles and its subject matter, I still think The Black Parade is one of the most inventive albums of the past twenty years. In my life there have only been a few bands that have ever spoken to me in a very personal way. As anyone who knows me will know, The Beatles were the first of those bands (indeed, I know of no time in my life without The Beatles). Along the way there would be Cheap Trick, The Knack, and The Posies. 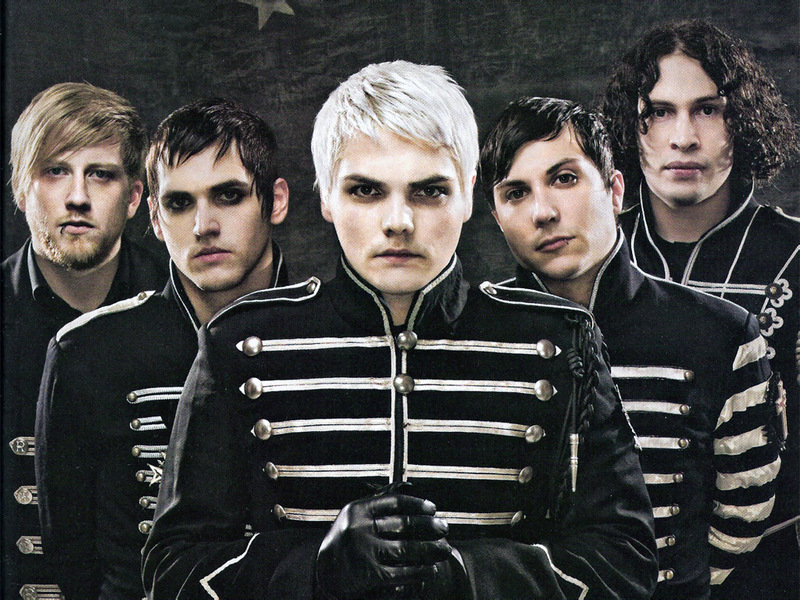 My Chemical Romance is one of those few bands that really spoke to me. It is for that reason their break up does make me very sad. If you are an avid reader you may well be familiar with Goodreads, a social reading site where people can review books, share books, and discuss books. While there are other social reading sites out there (Shelfari, LibraryThing, and so on), Goodreads could well be the most popular of any of them. Today Amazon agreed to buy Goodreads for an undisclosed amount of money. Personally, I am not sure that this is a good thing. Here I must say that I am not against Amazon by any stretch of the imagination. In fact, I have always liked Amazon. It has always been my site of choice when it comes to buying books, DVDs, and CDs online. And I do have to say that I think their customer service is second to none. The only major problem I have had with Amazon is their policy on authors reviewing other authors, which I will address later. Also, in the interest of full disclosure, I must say that I do not use Goodreads very frequently. In fact, months can go by without me visiting the site, much less updating the list of books I have read or reviewing books I have read. That having been said, I have always enjoyed Goodreads and I have always thought it was an important resource for those who enjoy reading. That having been said, I am very uncomfortable with Amazon acquiring Goodreads, and for multiple reasons. The first is quite simply Amazon's policy regarding authors reviewing books. For those who do not know, last autumn Amazon enacted a policy whereby anyone with a direct financial interest in reviewing a specific book (publishers, manufacturers, et. al.) or anyone with a direct financial interest in a competing book (which appears to be just about any author) from reviewing books. Worse yet, if someone Amazon perceives as having a financial interest in a book persists in trying to review a particular book, that book can be removed completely from the site. What made this policy all the more worse is that everyday people, people who had never published a book or worked for a publisher or knew the writer personally, were having their reviews deleted. When they asked Amazon about it, they were simply quoted the policy, which hardly applied to them. I believe that Amazon has since corrected the problem whereby fans, with no real connection to the author other than reading his or her books, are not prohibited from leaving reviews, although I am not absolutely certain about that. Now in all fairness, reviews on the site had proven to be a bit of a sticky wicket for Amazon, to the point that they had to do something to insure that all reviews were by genuine readers. Quite simply, people were abusing the system. Authors were exchanging good reviews of books with other authors. Yet other authors (namely crime writer R.J. Ellory) were leaving negative reviews of competitors' books. Worse yet, there were individuals who actually accepted monetary payment for positive reviews on Amazon, as in the case of Todd Jason Rutherford and his "service" GettingBookReviews.com. Amazon had to do something about the fake reviews that were proliferating on the site. Unfortunately, in the opinion of many Amazon went too far in the opposite direction in their effort to crack down on fake reviews and also made mistakes implementing the policy. First, it ignores the fact that not all authors are in direct competition with each other. A writer of nonfiction books on film history is not competing with a writer of horror fiction. A writer of romances is not competing with a writer of Westerns. Second, when the policy was first implemented, Amazon was mistaking fan reviews for reviews of people with a financial interest in the book. Anyhow, to sum things up, I worry that Amazon could extend its policies on reviews to Goodreads. If that were to happen, then, many authors could not write reviews of books on the site. Given that for many writing reviews is one of the most enjoyable things about Goodreads, this would probably discourage many authors from using the site. Worse yet, what if Amazon makes the same mistake regarding reviews on Goodreads that they did regarding reviews on Amazon; that is, they mistake reviews written by fans for reviews by people with a financial stake in the book? If that were to happen (and I do not think it necessarily will), then they could even drive average people away from the site. Beyond the question of whether Amazon will extend its review policy to Goodreads, there is also the fact that the company already owns Goodreads competitor Shelfari. Founded in 2006, Shelfari was bought by Amazon in 2008. Given that Goodreads is probably the most popular social reading site and Shelfari appears to be fairly popular, this would give Amazon the lions share of the social reading market. While I like Amazon and I respect them, I hardly think this is a good thing for users of social reading sites. Quite simply, there would be less diversity in the sort of social reading sites users from which users could choose. What is worse, as a giant in selling books, the already popular Goodreads being owned by Amazon could be at an unfair advantage when compared to other social reading sites. Quite simply, Amazon could pump money into Goodreads until it literally buries competitors such as LibraryThing. In discussing the acquisition of Goodreads by Amazon today, my brother brought up an objection to the purchase that I had not considered. Quite simply, whether Amazon did so or not (and he expressed doubt that they would), the perception could arise on the part of many that Amazon might favour books published by their subsidiaries CreateSpace and Kindle Direct Publishing. I respect Amazon and I have very serious doubts that they would show such favouritism. Indeed, they appear to have never done so with Shelfari, despite ample opportunity The problem is that the very fact that Amazon owns Goodreads could bring this into question for many people. As someone who has published through Amazon, I have to worry about the impact that a few "conspiracy theorists" might have on both Amazon and Goodreads. Ultimately, while I like both Amazon and Goodreads, I have to say that I really would prefer for them to remain entirely separate companies. I see far too many problems in Amazon owning Goodreads for me to think Amazon buying the social reading site is a good idea. Now I do not think Goodreads is going to disappear any time soon (although I fear its competitors might), but I have to wonder if visiting Goodreads will be nearly as enjoyable an experience as it once was. It was several years ago when I began to network with fellow bloggers through social media sites such as Twitter that I noticed what I thought was an interesting phenomenon. There was a disproportionately large number of young people who were classic film buffs. It seemed to me that most of the people who loved classic movies that I encountered online tended to be in their late teens to late twenties. In fact, there seemed to be more classic film buffs in that age group than any other. This struck me as interesting as it would seem to defy what many people might well have thought was the conventional wisdom that classic films would appeal primarily to older people, people older than my generation (in other words, Baby Boomers and members of the Silent and World War II generations). In some respects this should not have surprised me. My sister is a good deal older than me (old enough to be my mother, in fact), yet she has always had a distaste for classic films. If I put a film in the DVD player from before 1970, with but few exceptions, she would complain or even leave the room. And I have never seen anything to contradict the possibility that other Baby Boomers were like her, that many of them did not care for classic movies. That having been said, I had always taken for granted that most classic film fans these days were either members of the World War II generation who had seen the films when they first came out or Gen Xers like myself who had seen them when they were run on local television stations in the Seventies and Eighties. From my observations over the years, however, that did not seem to be the case. Of course, many might argue that people in their late teens and late twenties are more likely to use the internet, more likely to maintain blogs, and more likely to frequent social media sites. That does not seem to be the case to me and there are good reasons why it would not be. First, one must consider that it was my generation, Generation X, who first regularly made use of the internet as young people. In the Eighties it was perhaps people in their teens and twenties who made the most use of online services such as America Online and CompuServ. The youngest Gen Xers were in college when the World Wide Web was introduced in the early Nineties. Indeed, I have been on the Web since around 1995. The idea that the very young tend to be more adept at the internet and make more use of it than slightly older people is then not exactly valid. The oldest Gen Xers are now in their early Fifties, while the youngest are in their mid Thirties. For that reason I suspect most of us have not only been on the internet for a very long time, but we tend to be experts in its use. Second and not surprisingly given a generation who was the first to use the internet with any regularity, I know plenty of Gen Xers who have blogs and plenty who frequent social media sites. In fact, I cannot say that I know fewer Gen Xers than Gen Yers or Millennials online. They seem to be about evenly distributed. What I have noticed is that when it comes to people who blog, tweet, or post to social networks about classic films, the members of Generation Y and Millennials tend to outnumber Gen Xers. While many Gen Xers enjoy blogging about sport, fashion, or politics, many Gen Yers and Millennials enjoy blogging about, well, classic film. Now that is not to say that there aren't Gen X classic film buffs--I'm not the only one by a long shot--but we do seem to be outnumbered by the Gen Yers and Millennials. This might seem odd to many, who might well think that old movies would hold very little appeal for young people, but I think I might have found an explanation for the reason so many classic film buffs tend to be so young. Quite simply, it all comes down to two cable channels. The first was American Movie Classics (now simply known by its one time initials, AMC). AMC was launched in 1984 as a premium channel, but it would not be until 1987 that the channel would become available on basic cable. At the time the oldest members of Generation Y would have been around ten years old. The second and more important of the two was Turner Classic Movies (TCM for short). TCM was launched in 1994 when the oldest Gen Yers would have been around 18 years old. What is more, on many cable systems it was available as part of their basic packages. Both channels would prove very successful. And while AMC would desert classic film in the early Naughts, TCM continues to air nothing but classic movies with but very few exceptions. Of course, classic films had been shown on local television stations in the Seventies and the early Eighties, something which led to the creation of many classic movie buffs in Generation X. Unfortunately, as the Eighties progressed local television stations began showing fewer and fewer films made from the Thirties to the Fifties. By the late Eighties, only local PBS stations and a few independents might show classic films if one was lucky. As a result many younger Gen Xers may have never had the opportunity to become classic movie buffs. In contrast, many Gen Yers and the vast majority of Millennials would have at least one cable channel dedicated to showing classic films 24 hours a day. Due to American Movie Classics and Turner Classic Movies many Gen Yers and Millennials would have an opportunity no other generation before them had--the opportunity to watch classic movies almost any time that they wanted. Even given AMC ceased being dedicated to classic films in the early Naughts, the members of Generation Y and the Millennial Generation had ample opportunity to become classic film fans. Of course, I suspect it was not AMC and TCM alone that would create a generation of classic film buffs. I suspect the introduction of DVDs in 1995 had a role to play as well. Now it is true that many classic films were released on VHS, it seems to me that many more would be released on DVD. What is more, many of them would be released with extras such as commentaries and documentaries. 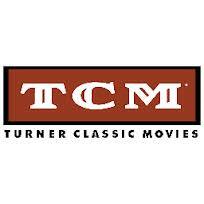 Indeed, Turner Classic Movies would have a large role to play in the release of classic films on DVD. The TCM Vault Collection has released several rare classic films on DVD, many of which had never even been released on VHS. Started in 2009 the Warner Archive has also released many classic films on DVD. There is even a Netlix style, rent by mail service dedicated to classic movies. ClassicFlix was founded in 2007. What is more, nearly any classic film on DVD can be ordered online from such outlets as Amazon and Barnes & Noble, and even directly from TCM or the Warner Archive. In the Eighties and Nineties a Gen Xer seeking a classic film fix might have some difficulty finding classic films even if they had been released on VHS. Indeed, when I was in college I had to go to 9th Street Video in Columbia, thirty miles away, for most of my classic movie needs. Since the late Nineties finding a classic film can be as simple as going online and ordering it. In the end it should perhaps not be surprising that there are so many classic film buffs who are in their twenties and thirties. In many respects they have had more exposure in their youth to classic films than any other generation except for those who were alive to see the films when they were released. While Gen Xers could only depend on their local TV stations to show the occasional classic film, Gen Yers and Millennials have had TCM to show classic films any time they want. While Gen Xers often had difficulty getting classic films on VHS, Gen Yers and Millennial can get them on DVD through any number of online outlets. With streaming video, young people now have even more access to classic films. Quite simply, TCM exposed a whole generation of children to classic films and in the process created many new classic film buffs. In the end, I suppose one could term them "the TCM Generation."